From the 5th–4th centuries BCE, fragments of two tragedies (one a satyr play by Aeschylus); of five plays by Sophocles; of ten by Euripides; of one by Ion; and of some plays not assignable. From Old Comedy, 5th century, we have fragments of one play each of Epicharmus, Cratinus, Pherecrates, Eupolis, and Plato; some fragments of Aristophanes; and unassignable fragments. From Middle Comedy and New Comedy, 4th and 3rd centuries, are 26 items including at least three by Menander and one each by Philemon, Timocles, and Straton. From mimes there are a fragment of Sophron and six unassignable, including 112 lines of clownish doings by the Indian Ocean. 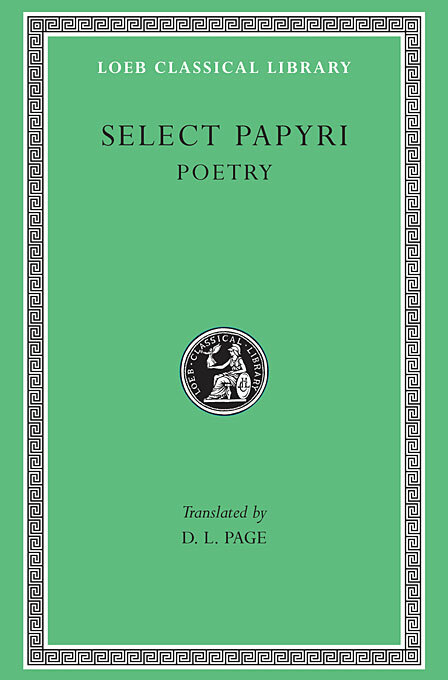 The lyric poetry, 7th century BCE–4th CE, 21 mostly anonymous items, includes some of Sappho, Corinna, Pindar, Philicus, fragments of dithyrambic poetry, hymns, songs and so on. There are seventeen examples of elegiac and iambic poetry, 7th century BCE–3rd CE, including some Mimnermus, Amyntas, Leonidas, Antipater of Sidon, and Posidippus. The 30 items of hexameter poetry, 5th century BCE–6th CE, are mostly unassignable but include Panyasis, Erinna (a lovely fragment of her “Distaff”), Euphorion, Pancrates, and Dionysius (the “Bassarica”). 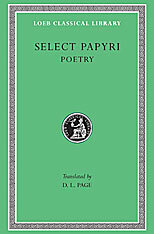 The three-volume Loeb Classical Library edition of Select Papyri also includes volumes of private and public documents.